A patented mop for higher absorption and antimicrobial properties. 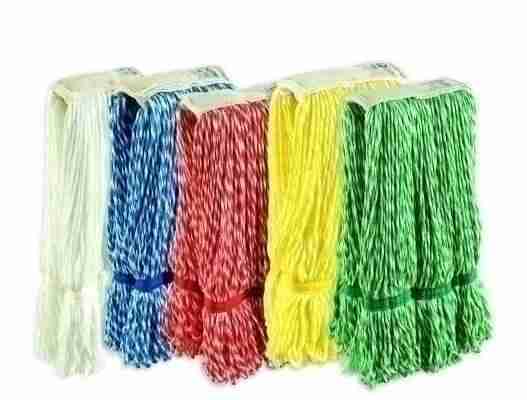 Color coded strings for easy identitfication.A blend of polyester and polyamide which has antimicrobial properties, which inhibits the growth of bacteria that cause odors & stains. Tailband allows the mop to cover more floor area per stroke, saving time and money.